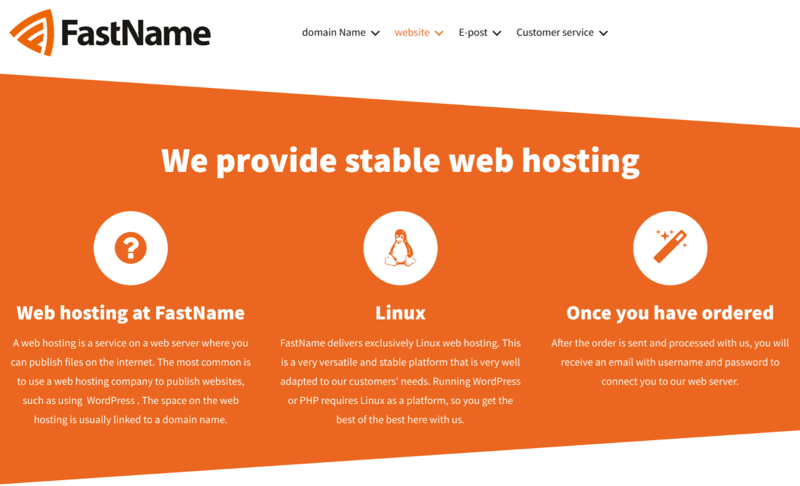 FastName Review 2019: Is FastName a Good Hosting? FastName was founded in the year 2000. They now have more than 18,000 customers, and they manage more than 47,500 domain names. Of their 20+ employees, more than 50% work in customer service. FastName was founded in the year 2000. They now have more than 18,000 customers, and they manage more than 47,500 domain names. They have twenty employees, with more than 50% of them working in customer service. This Norwegian company publishes its website only in Norwegian. FastName colocates in two Norwegian data centers (one in Oslo and one in Tønsberg) which offer safe, stable environments with 24-hour security and surveillance. They run a separate network to ensure redundancy of all DNS, and their servers run on robust brands such as Dell, Cisco, and EMC. Their shared hosting plans are pretty simple, and they offer three plans: for home use, small companies, and medium-sized companies. These include 1GB, 5GB, 10GB of storage respectively, and 50GB, 100GB, 250GB of traffic respectively. For beginners, the plans support WordPress. For experts, you’ll be pleased to see support for ASP, ASP.NET, Perl/CGI, PHP (5.4, 5.5, 5.6 and 7.0), plus SSH and FTP access. 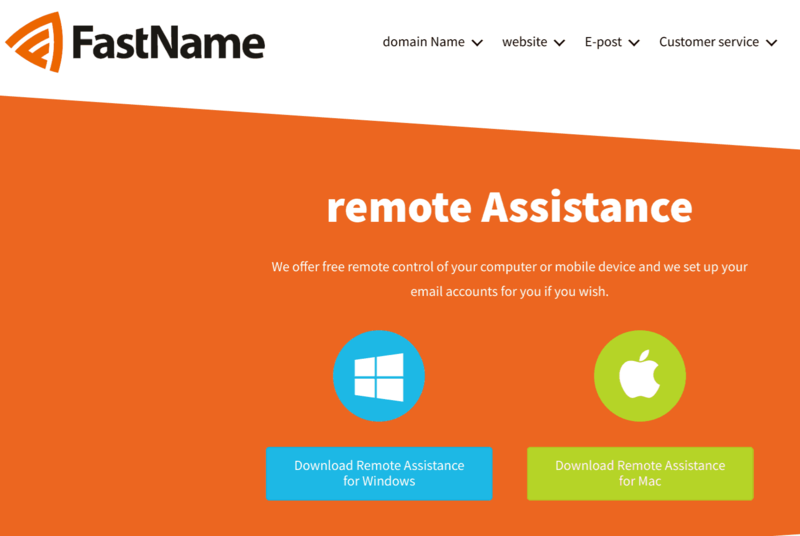 As well as their hosting plans, FastName also offers a website building tool and hosting plan combo with 5 GB disk space. The website builder is designed for people with no coding skills, who can build a website using a browser-based drag-and-drop interface and ready-made templates It’s nice that this is packaged with hosting as a one-stop-shop simple solution for beginners. FastName’s hosting plans are pretty well priced for a Norwegian company that I would expect to be subject to Scandinavian pricing. Certainly not the cheapest on the market, but not bad at all, although domain registration and SSL certificates both cost extra. Hosting is paid for on annual terms, which is a pretty big initial commitment considering there is no money-back guarantee. You can contact customer service via phone, email, or remote assistance during weekday business hours (finishing at 4pm on Fridays). Outside of business hours, you can support yourself using the fairly substantial FAQs page on their website. If you’re looking for a host with servers located in a Norwegian data center, FastName could be a good choice. They are relatively affordable, and they have a good track record in the hosting industry. Wondering how FastName stacks up against other Web Hosting companies? Enter any other Web Hosting company and we will give you a side-by-side comparison.